In 2017, nib employees were given the opportunity to nominate a choice of charity closest to their hearts to receive a $5,000 grant as part of our annual Good Cause Grants program. Behind each chosen recipient are employees who have had their lives touched by these charities in some way. We recently spoke to nib New Zealand employee, Arishma Singh, who was fortunate to have her nominated charity, Leukaemia & Blood Cancer New Zealand, chosen. In July 2017, Arishma shaved her head at the nib New Zealand office as part of Leukaemia and Blood Cancer New Zealand's Shave for a Cure fundraising event. Arishma was inspired to Shave for a Cure after meeting five year-old Zara, who passed away last year from terminal cancer. "I was impressed by Leukaemia & Blood Cancer New Zealand's involvement with Zara's needs throughout her treatment and the support given to the parents," Arishma said. "They do a very good job of supporting patients through the initial shock of being diagnosed, they provide financial assistance and also provide educational programmes to raise awareness," she added. 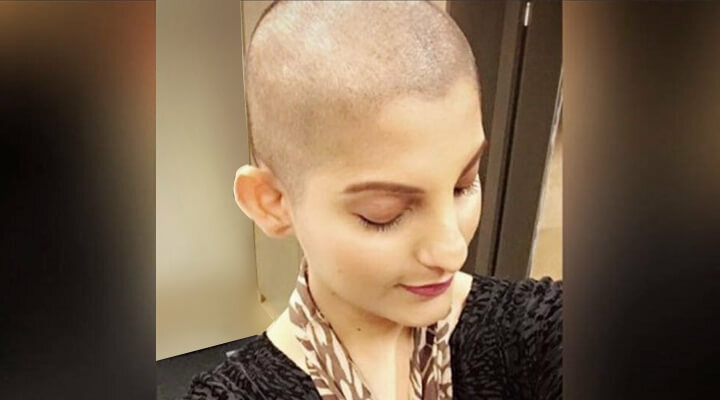 When it came to making the choice to shave her head, Arishma was a little nervous, however, never doubted her decision to go through with it. "To me each person is beautiful with or without hair and I had a lot to be grateful for as I didn't have blood cancer ... I was constantly given hugs, words of confidence and after the shave, everyone made a point to tell me how good my head looked," she said. nib foundation Executive Officer, Amy Tribe, said the foundation was proud to be able to support employees' chosen charities and applauds Arishma for her bravery and selflessness. "It is acts of kindness like that of Arishma's that showcase why we continue to support good causes closest to the hearts of nib employees every year," Ms Tribe said. "Since Good Cause Grants fruition in 2015, nib foundation, in collaboration with nib, has collectively donated $75,000 to contribute towards many amazing charities that make a positive impact on the lives of thousands of individuals and families in Australia and New Zealand. We are looking forward to continuing our support of employee nominated charities in 2018," she said. With our support, Arishma raised a total of $9,500 that will go towards important blood cancer research, advocacy and support services. She also placed in the top four on the Leaderboard for most money raised in 2017 by an individual! If you're interested in joining the 'Shave for a Cure' event for 2018 or wish to get involved you can visit the Leukaemia & Blood Cancer New Zealand website.